Discount available! 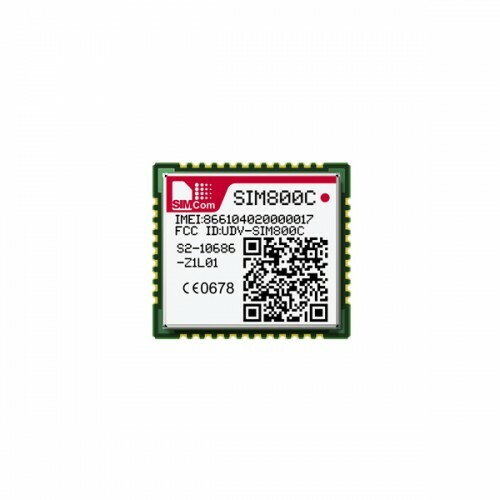 Recommend SIM800C - quad-band GSM/GPRS module to your friends and get your Discount. SIM800C is a quad-band GSM/GPRS module of SIMCom that integrates a TCP / IP stack and is controlled by AT commands. This module has very small dimensions (17.6x15.7x2.3 mm) and allow to develop very compact devices such as localizers, telecontrols, smart phone, PDA and other devices. The module is a SMT package with 42 pads, and provides all hardware interfaces between the module and customers’ boards. - Quad-band: GSM 850, EGSM 900, DCS 1800, PCS 1900. The frequency bands can also be set by AT command “AT+CBAND”.